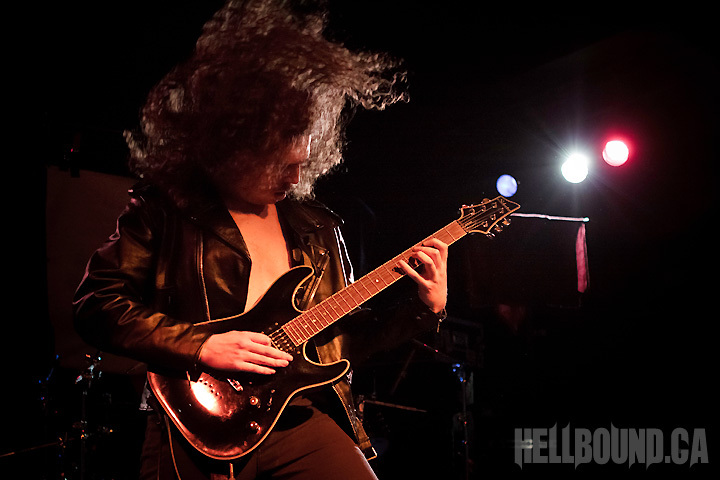 The Decibel Magazine Tour came through Charlotte almost three months ago, which puts this review in big bold letters as “LATE.” But the show was fantastic and the lineup was terrific. Being the inaugural tour for Decibel, I can only hope the caliber of bands presented only gets better and that they continue this as an annual tradition. 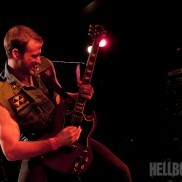 It was a long night full of blood, death, and a little bit of Satan — but most importantly, killer music. We even got pretty lucky for our tour opener in almost-locals Horrendous. 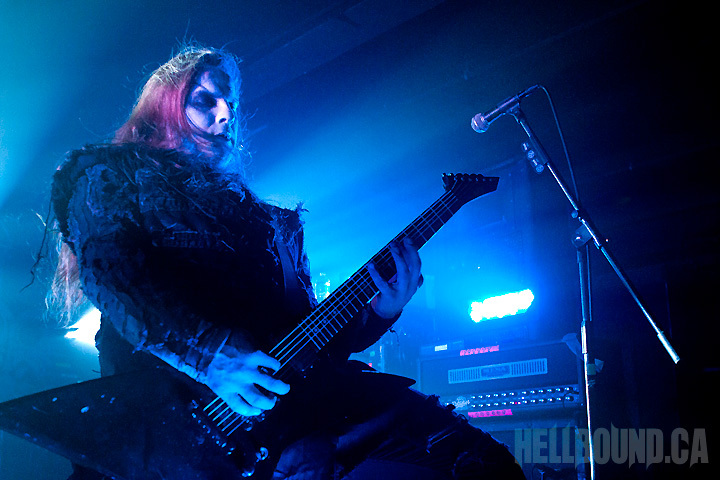 Follow that with In Solitude, The Devil’s Blood, Watain, and the mighty Behemoth, and you’ve got a recipe for metal success. Horrendous are a three-piece based out of Columbia, South Carolina, but met through college so all the guys are from other states. The band goes for an early death metal sound reminiscent of both the Florida and Swedish styles in the late 80’s and early 90’s. 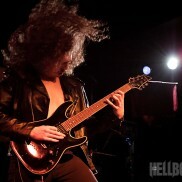 Their debut album, The Chills, was recently released and is total Entombed and Morbid Angel worship. While it might not be the most original death metal album, it certainly is a great one if you miss that chainsaw guitar sound from those early Entombed and Dismember albums. They throw in some technical flair here and there to distinguish themselves from being merely a copycat, but their influences are obvious. The band has currently only played a handful of shows. Due to some members being as far away as New York, the availability of the band is slim, but Horrendous still managed to put on a great show. It might not have been the most polished, but it definitely garnered the crowd’s interest. By the end of the night I saw a lot of people going home with vinyl versions of The Chills. 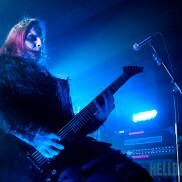 Next up was Sweden’s In Solitude. 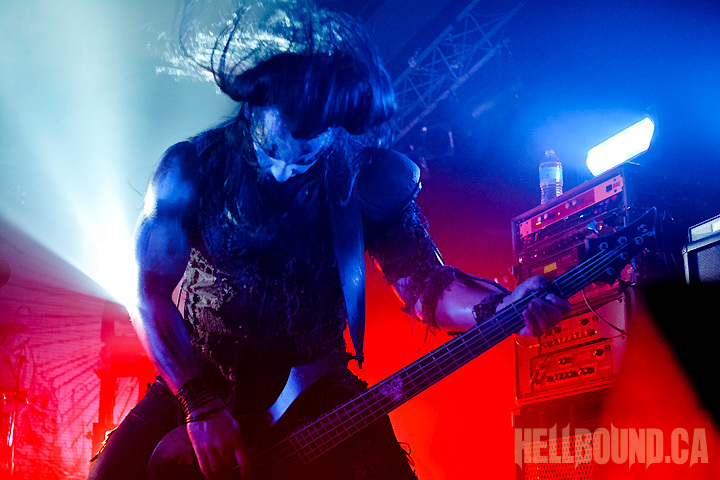 These Swedes stick to a more traditional metal sound. Nice and thick, the songs take on an almost doomy vibe at times. 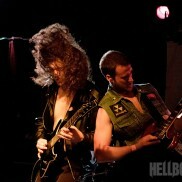 The band has a mix of ‘70s hard rock a la Blue Öyster Cult mixed with a bit of Mercyful Fate and a dash of Iron Maiden. The more popular Ghost has been spoken of in a similar way but In Solitude sounds quite a bit different. 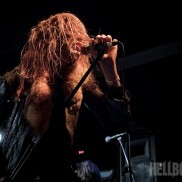 Frontman Pelle Åhman isn’t the most energetic guy on stage — in fact he reminds of Jonas Renske (of Katatonia) at times. 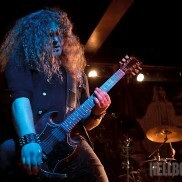 What he lacks in energy, he makes up for in spades with his best King Diamond impression minus the falsetto. 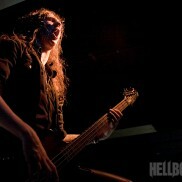 In fact, Pelle could probably audition for Kevin Heybourne’s vocal duties of Angel Witch fame. It’s a combination that really works well for these guys. Throw in some faux satanism and you’ve got In Solitude — a fun band that knows how to write some great melodies and can rock out with the best of them. 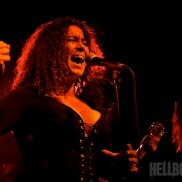 Female-fronted The Devil’s Blood and their brand of satanic hard/psychedelic rock were next. 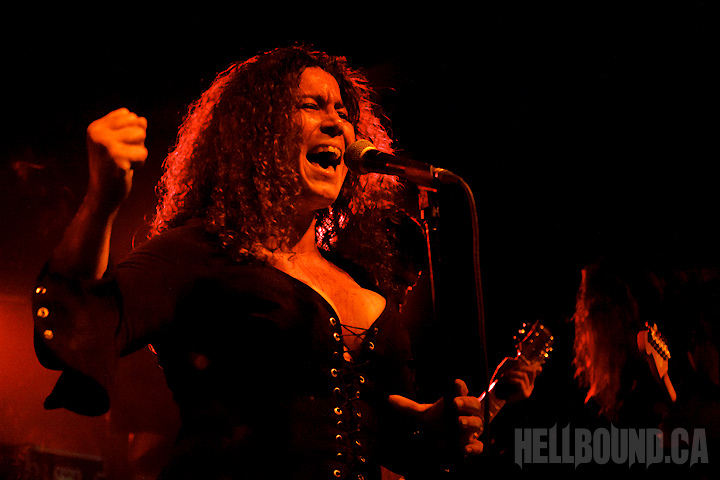 Selim Lemouchi, the band’s creator, has stated that the band is inspired by Satan and that when the band plays they are possessed by Satan. 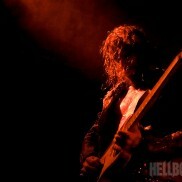 The band doesn’t want to be seen as individuals, and as best as I can tell they don’t even want their names presented. Even their website is confusingly cryptic about the band. 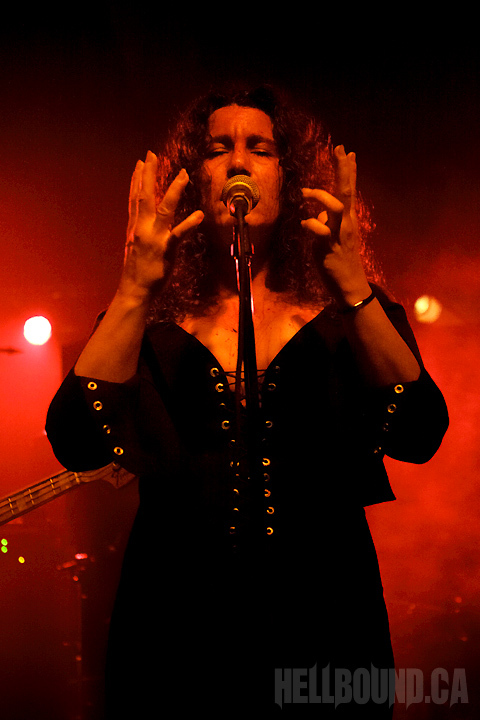 What is known is that the Janis Joplin-esque singer is actually Selim’s sister, Farida Lemouchi. 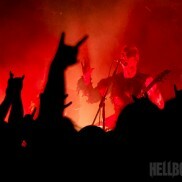 The band does seem very serious with their Satanic philosophy. 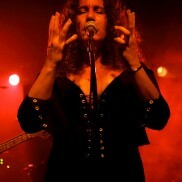 Farida limits most of her interaction with the crowd, merely gazing across the audience and pointing. While this makes sense for the band’s image, I can’t help be amused at how seriously the band takes themselves (at least that’s what they want us to perceive). The music itself is good, and while I don’t expect them to be really innovative, I feel that if you’re being inspired and possessed by Satan, your music should have a little more of a chaotic bite to it. 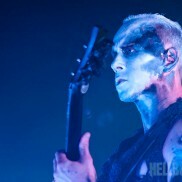 But for a satanic rock band, they’re doing alright. 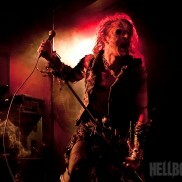 A band that I’ve heard crazy sordid stories of for years, Sweden’s Watain, was next. 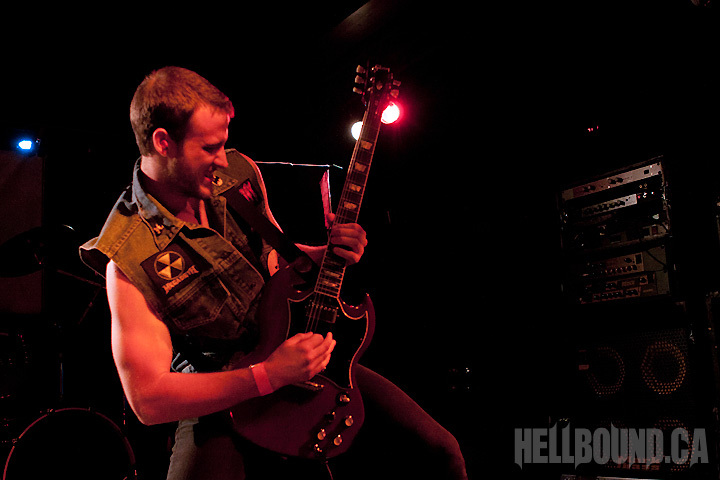 Heirs to the throne left by Jon Nödtveidt’s (of Dissection) death, Watain’s early career was not really a sign of the things that the band would produce later. 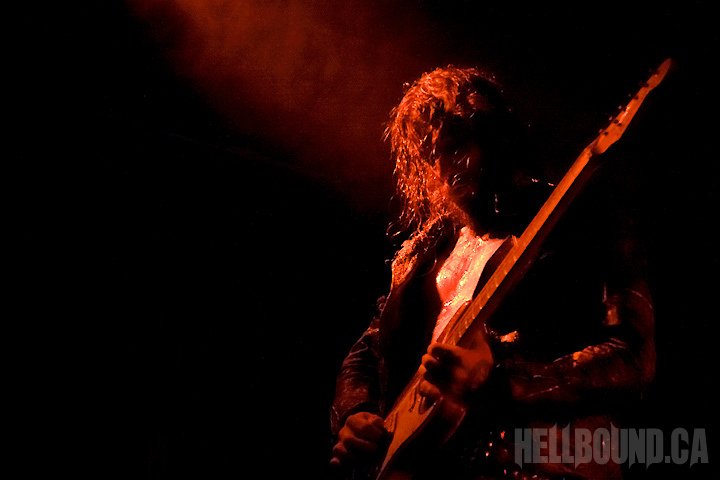 Watain’s debut was pretty standard and nothing to be really impressed with — but their second album, “Casus Luciferi,” is where people began to take interest in the band. 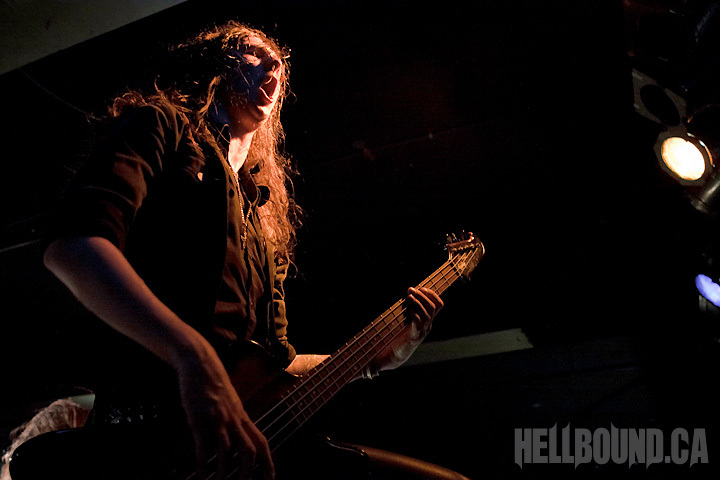 With two more albums under their belts, the most recent being “Lawless Darkness,” released in 2010, the band is now at the forefront of black metal. Throw in memorable stories like feces being smeared on bathroom walls and sacrificing animals before shows, and you’ve got a strong image behind the music. 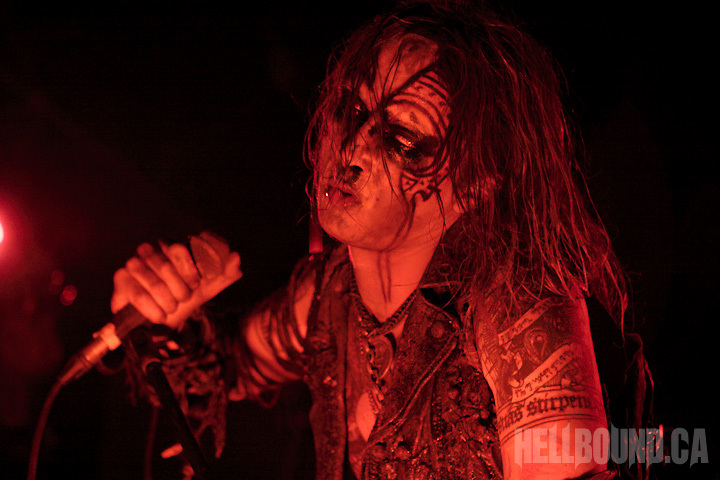 Black metal purists might argue that black metal has lost its edge since the early ‘90s — and Watain agrees. 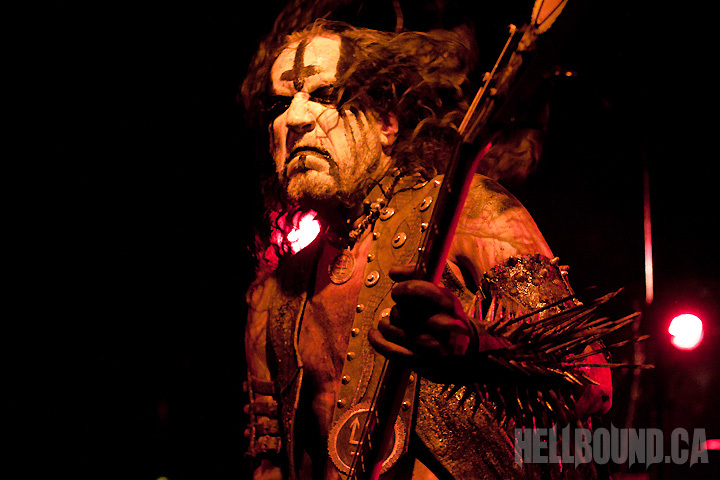 Many interviews have stated the band’s disgust for the current trend of black metal. 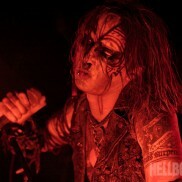 But does Watain think they’re the ones to bring the “serious satanism” back? Only they could tell you. But their live show is one to remember for sure. Already familiar with the their reputation, I knew what to expect. The stench of death wafted across the stage before the band even got on. Half-way through the first song, it completely reeked. 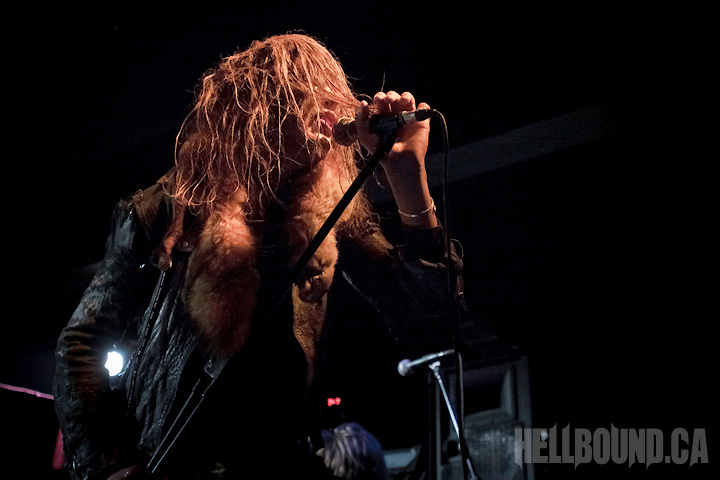 Small animal carcasses adorned the band’s ripped clothing. If that weren’t enough, the band refuses to shower during a tour. 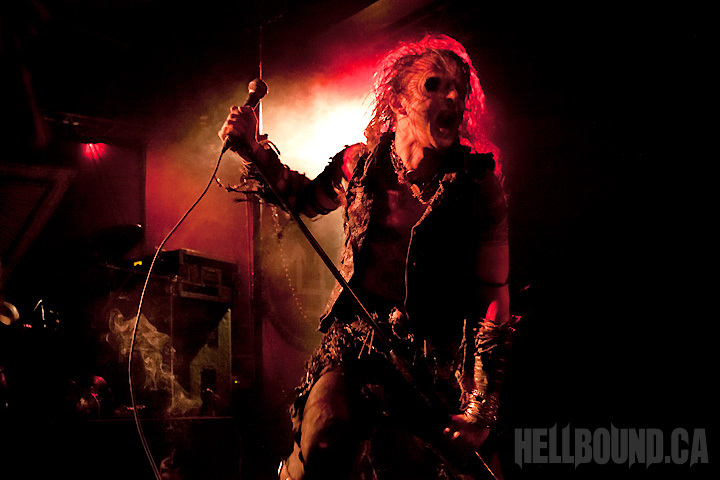 If there’s anything you could say about Watain, it’s that they’re committed. 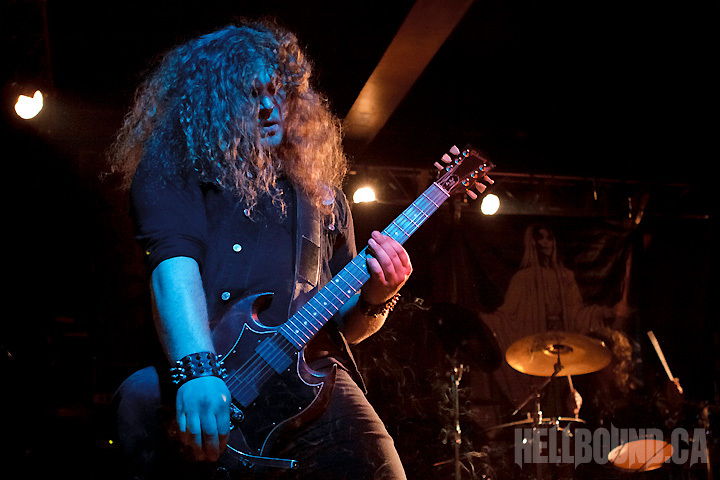 Encircled by fog, the band brought their A game and smashed through a very “Lawless Darkness”-heavy set with only one song being played from another album. While a more diverse set would have been welcome, they obviously only had enough time for a few songs, and it was still a strong set choice. 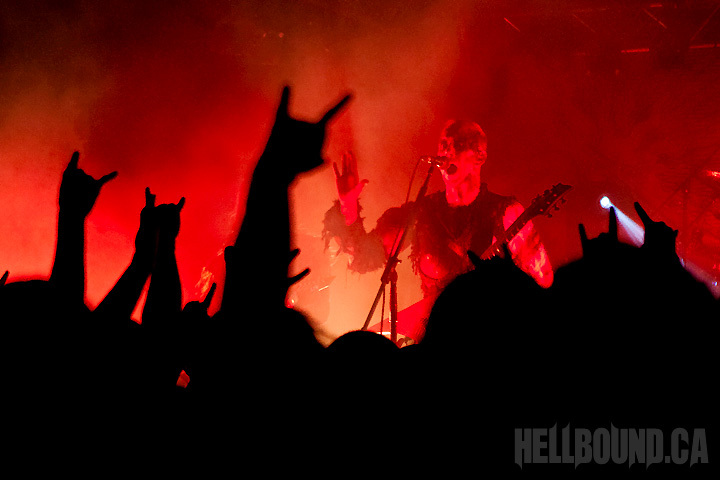 The crowd ate it up… but probably lost their lunch from Watain’s stench. 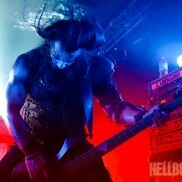 Finally the band that probably won “most band shirts represented” of the night: Behemoth. 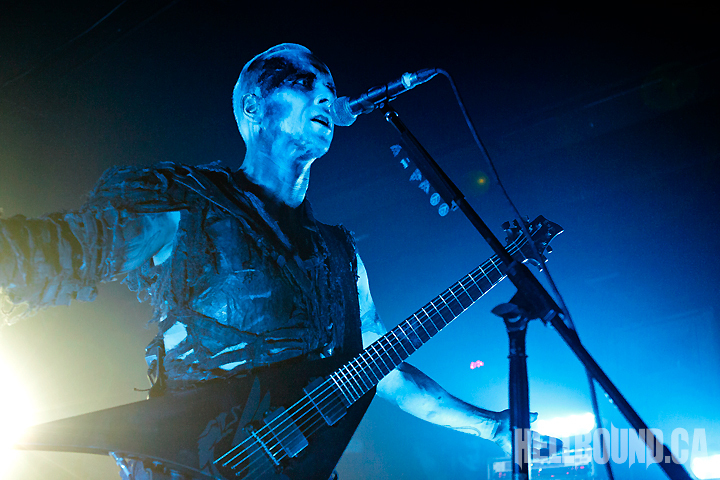 This tour marks the return of Behemoth to U.S. soil after Nergal’s battle with cancer. I wouldn’t doubt if the crowd’s fervor for the band wasn’t at least partially because of his successful recovery. 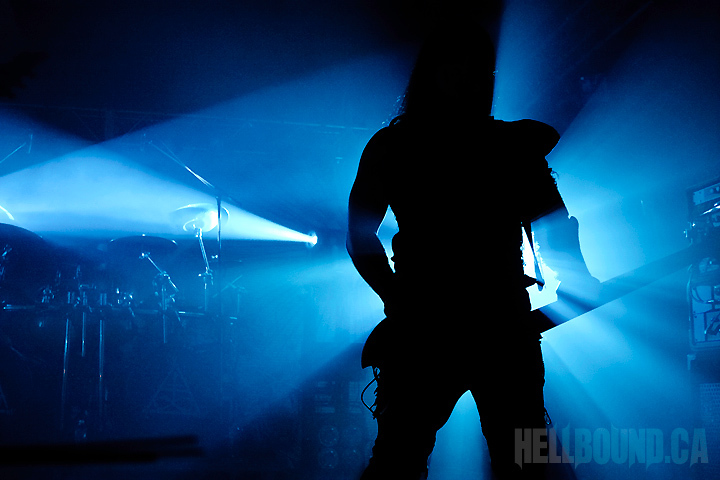 While many black metal bands prefer to be enshrouded by darkness, Behemoth brought its own lighting rig and strobed everyone to death. It was fantastic. 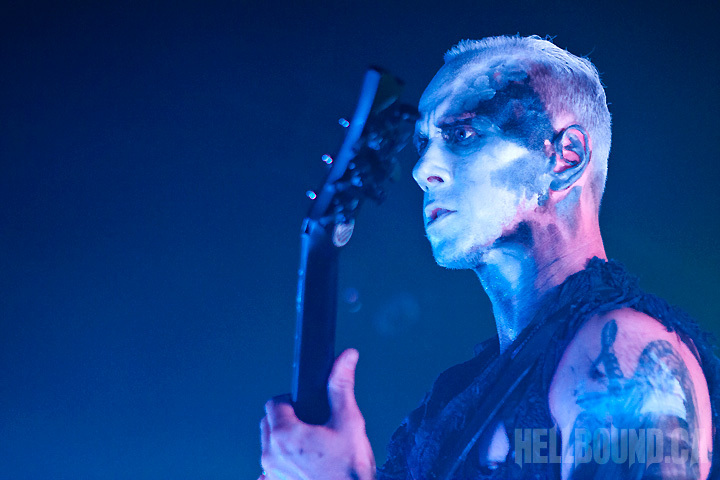 With Nergal’s authoritarian command over the crowd and Orion’s dominating stature reminiscent of the Uruk-hai of Isengard, Behemoth makes its presence known. 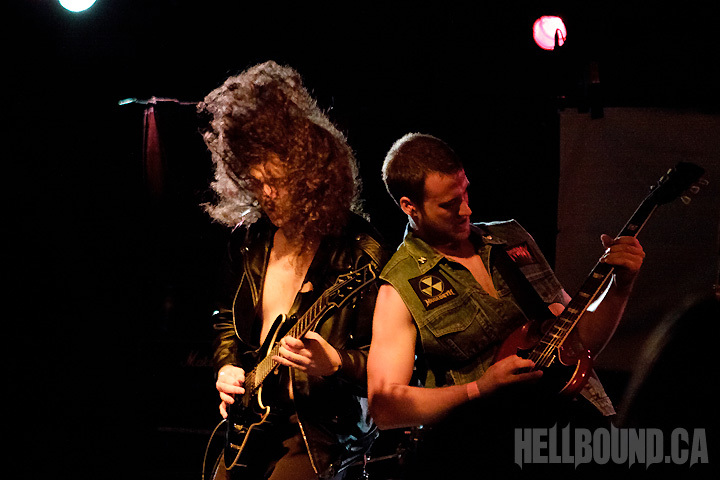 Opening with Ov Fire and the Void and then Demigod, the band proceeded to level the venue with strong song choices from beginning to end. 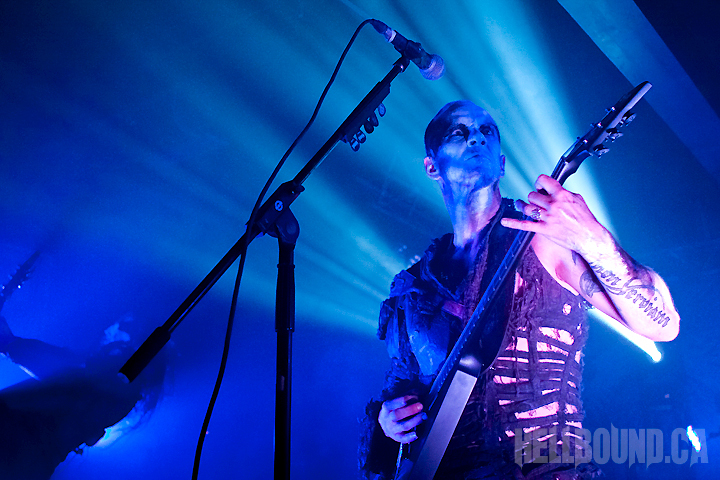 While Behemoth’s blend of blackened death is arguably at a near perfect combination already, the band really manages to push it over the edge in a live setting. 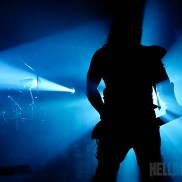 In fact I really believe this is where the band shines the most. 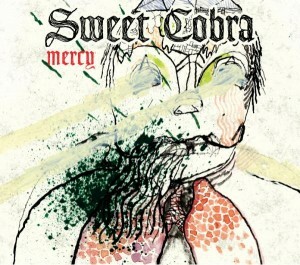 As they say, though, the proof is in the pudding, and I spoke to a guy who was dragged to the show by a bandmate of his. The band plays country music and his girlfriend was at a church choir rehearsal. 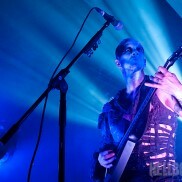 You wouldn’t expect Behemoth to do much for someone uninitiated in metal, but even he was really impressed. 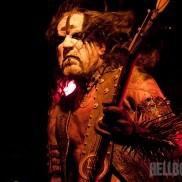 Then again, maybe the stench from Watain caused permanent brain damage. Poor guy. Way to kill the buzz for your acoustic tour, Wino!